The World Council of Churches has a long and well-documented history of promoting anti-Israel propaganda. The organization, an umbrella organization of approximately 350 Christian denominations, promotes anti-Israel hostility in a number of different ways that are documented in this CAMERA-prepared article published by the Jewish Political Studies Review in 2011. WCC legislative bodies issue one-sided statements that lambaste Israel while remaining silent about the misdeeds of its Palestinian adversaries. It has also remained relatively silent about the ethnic cleansing perpetrated against numerous people groups by jihadists in Iraq and Syria. When it comes time for the WCC to criticize countries and actors in the Middle East, the WCC’s preferred target of condemnation is Israel, first, last, and always. In addition to publishing dishonest and one-sided statements about the Arab-Israeli conflict, the WCC promotes virulent anti-Zionism (which at times borders on antisemitism) by providing logistical and financial support to Palestinian Christians and Western “peace” activists who regularly agitate against Israel. The WCC supports the Ecumenical Accompaniment Program in Palestine Israel, (EAPPI) and the Palestinian Ecumenical Forum (PIEF). EAPPI supports western “peace” and “human rights” activists who obtain images and narratives of Israeli Jews behaving badly during their stay in the West Bank and broadcast these images to their fellow Christians upon their return home, generating support for the boycott, divestment and sanctions (BDS) campaign, a movement that promoted antisemitism on college campuses in the U.S. PIEF supports anti-Zionist Palestinian Christian clergy in their effort to assail Israel’s legitimacy to Christian audiences throughout the world. Given that the JICC is affiliated with the World Council of Churches, one should expect that the organization is deeply involved in promoting anti-Zionist propaganda, and it is. Its executive secretary, Yusef Daher, was one of the authors of the Kairos Palestine Document, a document that has been declared suppersessionist and antisemitic by the Central Conference of American Rabbis (CCAR). 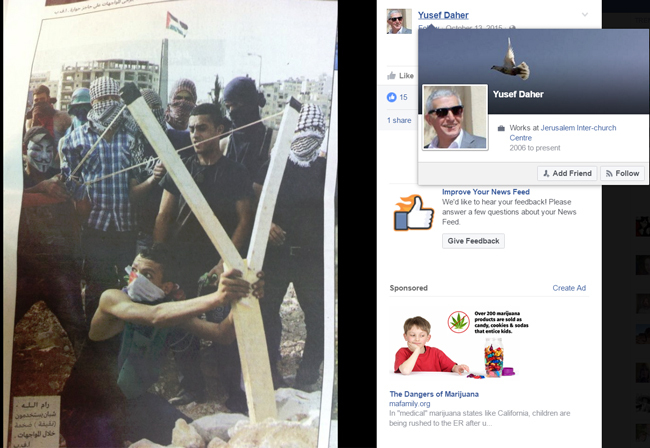 Daher’s involvement with the Kairos Document is bad enough, but images from Daher’s Facebook page demonstrate the organization’s leader is motivated by hatred toward Israel. 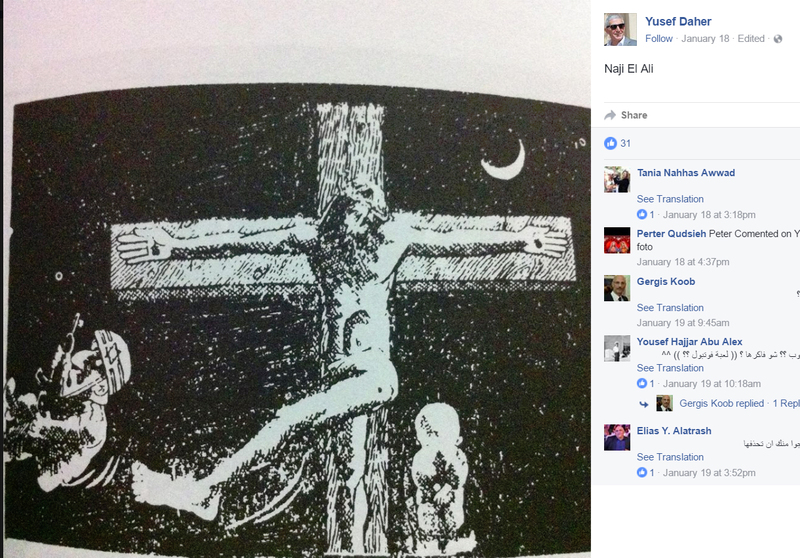 One egregious image, posted on January 18, 2016 (screenshot above), shows Jesus Christ being crucified. At the foot of the cross are two figures. To the viewer’s right, we see the mascot for the BDS movement standing at the foot of the cross. The second figure, to the viewer’s left, is an Israeli soldier being kicked by Jesus, who has somehow been able to free a leg from the cross to kick the soldier. For the Christian leader of an organization that is called to serve the peacemaking efforts of the ecumenical community and promote interfaith relations to post such an image on the internet is simply reprehensible. Jesus critique of the Pharisees precisely reminds us that the Torah does not center on love and genuine justice. Only Justice of Love will prevail , same as in the resurrection. It is our Exodus from darkness to light . For both Palestinians and Israelis, both peoples to live in equality and justice on the same land. Justice that is inclusive and effects healing not a kind of justice that is always bringing hard memories. Daher’s assertion that the Torah “does not center on love and genuine justice” is the type of anti-Jewish polemics that Christians have been writing for centuries. Coming from the leader of a Christian ecumenical institution headquartered in Jerusalem, no less, is simply shocking. Why is the WCC supporting Daher’s work? creenshot above). This image clearly calls for the destruction of the Jewish state. 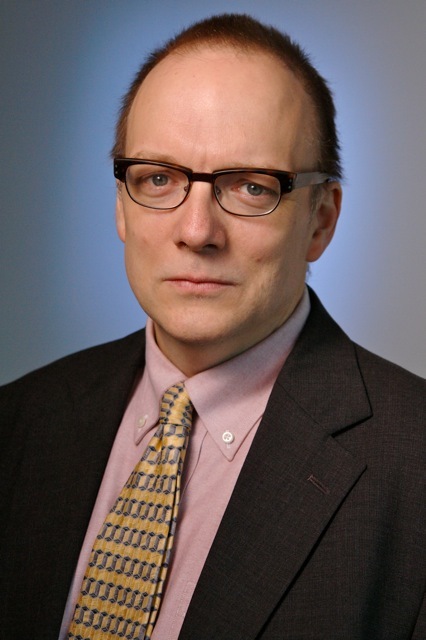 Why is a so-called peacemaking activist supported by the WCC posting such a hostile picture on the Internet? It is one thing to call for the creation of a Palestinian state in the context of “peacemaking,” it is another thing all together to post an image expressing support for the elimination of the Jewish State in such a context. A third image, posted on Oct. 13, 2015 (posted below), shows a picture of Palestinian men wearing keffiyehs to obscure their faces working a large slingshot, about ready to launch a brick or stone of some sort. There are no comments accompanying the image, but apparently, Daher thinks this type of behavior is laudable. Given the tension in the West Bank, it is simply irresponsible for a so-called Christian “peacemaker” to promote this type of behavior. Rock-throwing Palestinians have killed Israelis and confrontations between rock-throwing Palestinians and Israeli soldiers have led to fatalities and injuries on both sides of these showdowns. Such deaths and injuries lead to a hardening of hearts on both sides of the conflict. Again, why is a Christian “peacemaker” posting such imagery? If the World Council of Churches thinks it is promoting the cause of peace by supporting the work of Yusef Daher at the JICC, it is sadly mistaken. Daher traffics in some ugly propaganda that will only embolden Palestinian violence and cause distrust on the part of Israelis.